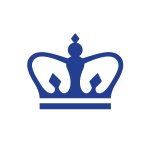 COLUMBIA UNIVERSITY MEDICAL CENTER is an internationally recognized leader in the creation of new knowledge and therapies to improve health in individuals and populations. With sponsored research totaling more than $600 million annually, our faculty has the opportunity to pursue research that encompasses all areas of contemporary biomedical investigation and public health. CUMC’s tradition of innovation has led to significant achievements, including the first successful heart transplant in a child, Nobel-winning developments in cardiac catheterization, the first use of dilantin to treat epilepsy, development of the antibiotic bacitracin, identification of cystic fibrosis, isolation of the first known odor receptors in the nose, discoveries about how memory is stored in the brain, creation of the Apgar score to assess newborns, design of the first significant programs to reduce maternal mortality in resource-poor countries, and the oldest program in nurse midwifery.